We are officially halfway to our goal to be involved in microloans to 10 small business owners in developing countries through Kiva as part of the Inn on Mill Creek’s 10th birthday celebration. 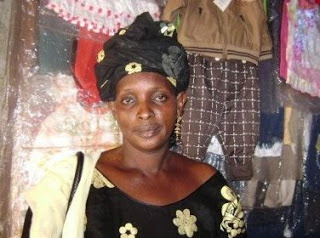 We, along with 38 other Kiva lenders, have chosen to fund a microloan to Ndeye (pictured above), who owns a clothing store in Senegal. Ndeye is a widowed mother of six and being able to expand her business with this loan will help her to improve her family’s living conditions, and in the bigger picture, Ndeye will be helping her local economy. And we get to help in the global fight against poverty. We wish Ndeye the best of luck with her business! Links to our blog postings for our other Kiva loans for 2009 are available at our Inn Turns 10 page. Additionally, Brigette (the busy body who is always looking for more ways to help) has begun a volunteer stint as a Kiva Editor, editing the loan profiles/descriptions that are part of each loan request, after they’ve been translated into English from the business owner’s country’s language. What better way to put that journalism degree and editing background to use?